For the sake of our sanity, and in the interest of making a fair comparison, I’m going to restrict the discussion today to only the manga versions of each character. As much as I’d like to go on about how different they were in the anime, and even in the live action series, it unfortunately makes things a lot more complicated. With that out of the way, I figure the best way to approach an article like this is to break it down into their similarities and differences, then come back together at the end for a final wrap up. Sounds good? No? Great! Let’s do it. Let’s get the most obvious one out of the way first: Minako and Usagi look a lot alike. So much alike, in fact, that Minako even played the part of the Moon Princess in an attempt to mislead anyone out to harm Princess Serenity. But that’s not all they share in common. Their general approach to life, in fact, is incredibly similar. After a hard day of school, heroine-ing, or pretty much anything else, both of our sailor-suited warriors of justice tend enjoy a good nap… when their respective magical cats aren’t bothering them. 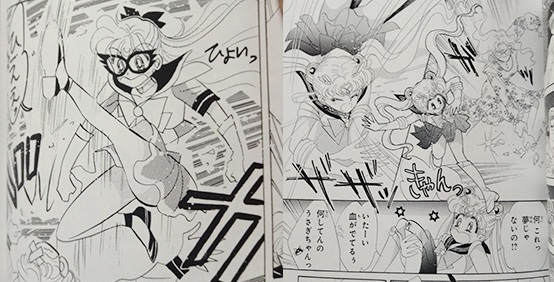 While they each were granted a magical item that could change them into whatever they happened to need (the Disguise Pen for Usagi and the (crescent moon-shaped) Compact for Minako), both of them had the odd tendency of choosing costumes that didn’t exactly fit the situation they were in. 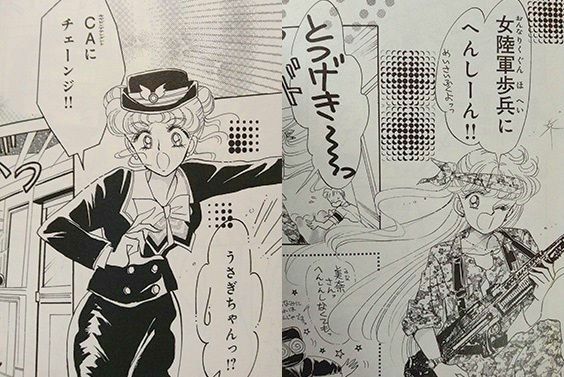 For example, Usagi decided to disguise herself as a flight attendant in order to get onto Jadeite’s Evil Bus™, while Minako made the peculiar choice of walking into a concert dressed as… a soldier?? So, as you can see, there’s definitely quite a lot shared between the two, personality wise. But that’s not to say that there aren’t significant differences, too. Probably the most obvious difference between Usagi and Minako right off the bat is that Minako is athletically gifted. Incredibly gifted, in fact, that she is something of a star volleyball player. Poor Usagi, on the other hand, has a hard time walking a straight line without falling flat on her face. Sports are, for our rabbit-inspired hero, pretty much out of the question. This also shows itself in their early battles against youma when they first begin their Sailor adventures. While Minako is quick to dive into the fray and start kicking people’s faces in,4 Usagi spends the majority of her initial fight running for her life from the possessed Osa-P shoppers and is only forced to confront them when she trips and falls. Even then, outside of an occasional Sailor Kick here or there, Sailor Moon almost universally prefers fighting using her tiara and other magical powers rather than relying on anything physical — something that Sailor V has absolutely no qualm doing. Somewhat tangentially related to their fighting styles is their respective approaches to being super heroines. I get the impression that Minako, who’s dreamed for most of her life to someday become an idol, truly loves being Sailor V. Sure she’s doing good for the world. That’s nice and fun and all. But it also gives her a chance to play dress up, kick some as butts,5 and be someone truly important. Though Usagi may not necessarily hate being Sailor Moon, she’s definitely a lot more hesitant to get involved in all the danger going on around her in the beginning and needs more than a little prodding from her cat companion Luna. And speaking of cat companions, though Usagi and Luna may have their differences, Usagi generally adores Luna and looks to her as something of a mentor. Minako, however, tends to view Artemis as more like a partner, for better or for worse. While that means that they spend a lot of time working together and she generally takes him along on all her outings, Minako doesn’t seem particularly inclined to take much scolding from him and shows no hesitation to give him a piece of her mind. Whenever someone comes along and tries to say that Usagi and Minako are pretty much the same character, it generally is the case that they’ve either only been exposed to the anime, or that at the very most they’ve seen the manga and have only heard of Codename: Sailor V.
Personally, I think there’s a lot to be said for the fact that there are so many similarities between Usagi and Minako, and even in the characters that surround them. However, even with all that, I think this is more a case of the two coming from the same generic template dreamed up by Ms. Takeuchi and then given a life of their own rather than Usagi being a direct copy of Minako. But at least that’s my take on the situation. What do you think of the whole Minako = Usagi debate? 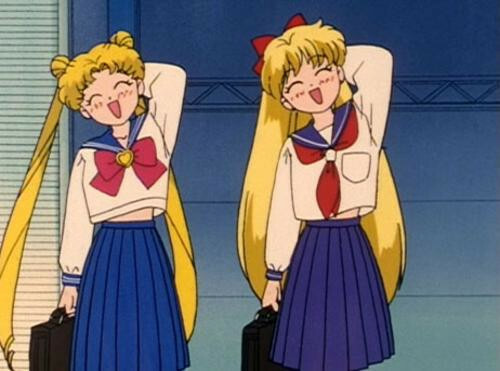 Do you think the original concept for Minako was spun off into Usagi, and then the character of Sailor Venus was developed later by Ms. Takeuchi, or were they always separate characters in her mind? I’d be interested in hearing your takes! ← Happy Birthday Michiru Kaioh! Hi! It’s nice to finally comment on one of these articles. I’ve been reading these for a straight year now, and I have to say that this one in particular has always striked my interest. Minako seems more independent than Usagi by, far, and definately is able to hold her own in a fight. It is also to be noted that the Rabbit loves her family and her little brother, but Minako seems to have trouble with her mother and doesn’t have any siblings that we know of. From what I’ve seen(from both the anime and manga), I feel that Minako develops into a much more serious, deeper character than Usagi, given what happened with Adonis and her foretold destiny at the end of the Sailor V manga. While Usagi does mature through the course of the manga and anime, I think her reasoning is much different than Minako’s — the venus senshi is a senshi because it’s her duty and she has no problem trying to protect Usagi from the same experiences she’s been in. The moon princess, on the other hand, I think, only decides to step up because of her friends and Mamoru are in danger — her duty as a senshi becomes more focused around protecting her loved ones rather than the actual desire to defend or to fulfill fate. Ultimately, I agree with you. While Minako and Usagi seem very similar on the surface, underneath, they are very different. 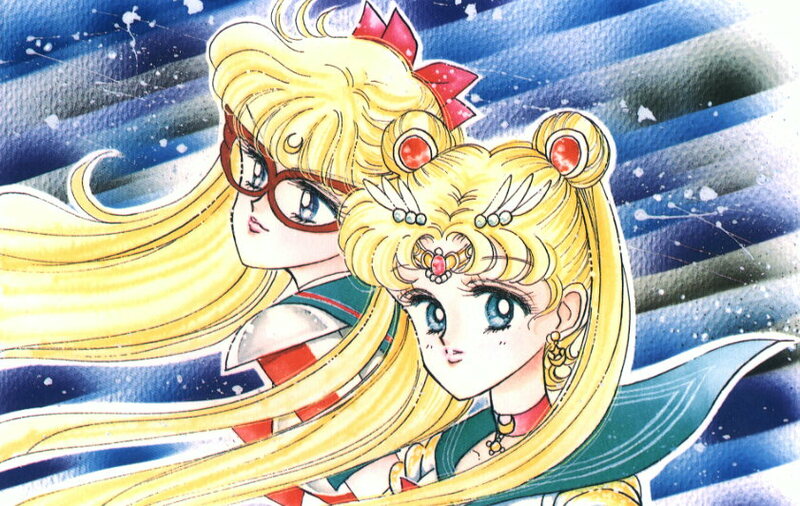 I have always thought that Takeuchi made the construct of Sailor V first, and when Usagi was created later, that she made them very similar to the outside eye on purpose, only adding deeper layers and aspects to their personalities upon closer inspection. I always thought this was intentional, not only because of Minako being a “decoy princess”, but also to parallel with the “twin planet” theory — how the planets of Earth and Venus are also similar in a lot of ways, but inherently different when you start studying them further. Thank you so much for writing this! I love your articles, and deep questions, and I look forward to reading more of them soon! Personally, I think that part of their similarities, specifically the ones in body language, come from Usagi outright IMITATING Minako (consciously or not) out of admiration. That, and maybe Minako imitating Usagi a bit to both remain similar with the character should she have to pull the body double act again and partly to appear stupider-grades aside, Minako’s normal attitude is too larger than life for her to appear stupider than she is. Aside for that, I think they were different characters to begin with, with Sailor V/Minako being the role model and Sailor Moon/Usagi the apprentice. I think that’s definitely a good way of looking at it. 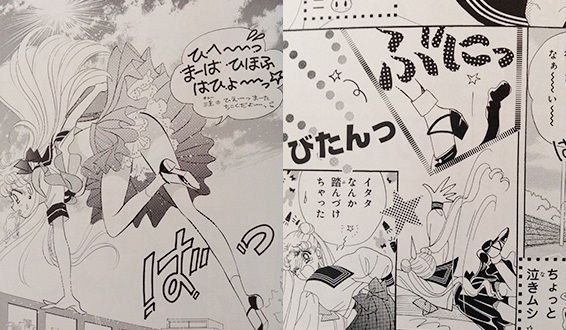 And Ms. Takeuchi did mention in the early stages of the manga that she wanted to bring Minako into the story as something of a “veteran soldier” when she wound up joining the Sailor Team in the Sailor Moon manga. Personally, I think she did a great job at showing how Minako grew over the years between the two manga. I feel like, at least in the manga, Usagi is more of an introvert while Minako is an extrovert. In the anime, this kind of blurs and I feel like they used some of Minako’s manga attributes when making Usagi. 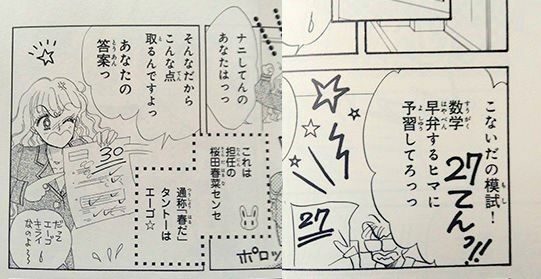 Usagi is definitely friendly in the manga, but she seems to need a lot of “me time” in comparison to her anime counterpart who just walks up and makes friends with anyone. In fact, I’d maybe go as far as to say everyone in the manga except maybe Minako is an introvert. There seems to be much more inner dialogue going on, too. I think for the most part the resemblance comes down to them being blonde and a carefree, compared to the others. They also have both parents in their lives, so it’s a possibility this has made the others a bit more thoughtful. Even if Minako does argue with her mother and Usagi can be disrespectful to hers, but also very protective and loving. Meanwhile, we have orphaned Makoto, Ami who basically lives alone and has to go to the hospital to see her mom and only communicates through postcards with dad, Rei who has a father who is pretty much estranged and the outers who were just created fully developed and perfect, apparently. That’s an interesting observation! I’ve never really thought much about it, but you’re right — most of the Inner Senshi are actually rather introverted in the manga. Which is totally different from their anime counterparts! I have always felt they were created as similar (= basically the same) beings but had the chance to develop in different directions. And though not quite related, I loved the serious Venus of the manga but was not too much a fan of Anime-Usagi clone Venus. I always thought that surface similarities between Minako and Usagi have a purpose- to protect Usagi from enemies in case of attack by Minako taking her place and posing as her – just remember how Queen Amidala in Star Wars was played by 2 people- Padme, the real queen , and Sabe, the decoy, who transformed into the Queen the moment she was in danger and basically spent the rest of the movie with a giant target on her back. Same situation here. And this idea is further supported by the fact that the asteroid Senshi from the future also have a person who shares quite a similar look with Chibiusa- long pink hair, pink uniform. Makes sense to me. In manga, Sailor Venus was the Chief sailor soldier (since Serenity wasn’t one), so it was up to her to lead and assess the threats- that’s why I think, she was the first one to awake on Earth and has been fighting evil for quite a while before others were awakened. (I do wonder though if she and Michiru were awakened at the same time).